Please join the staff of the HRECC in congratulating Fawn Ammons on her promotion to Senior Communicator. 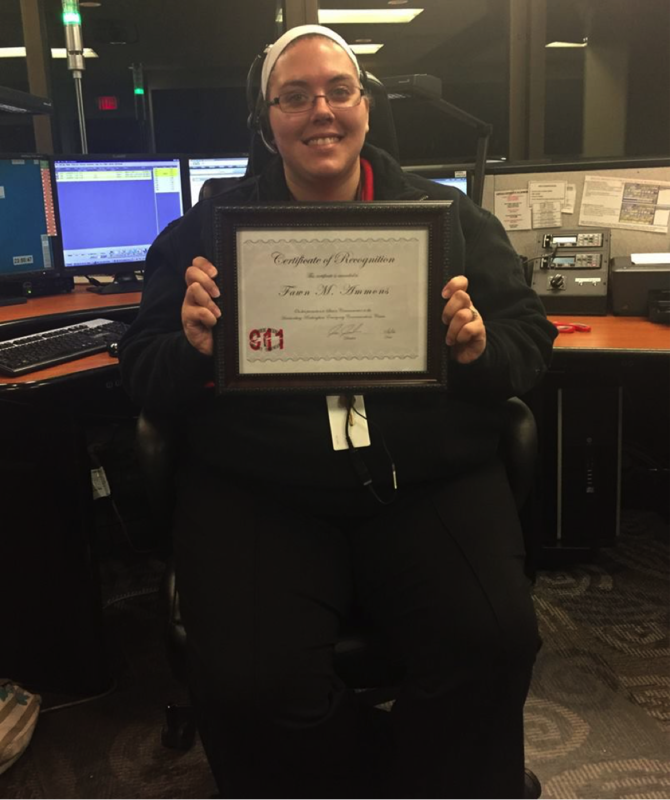 Fawn is serving as a vital part of the ECC team and was recently commended for her actions during a high priority event as VSP Wythville passed along their thanks to Fawn for her work in assisting with a suicidal person. They described Fawn’s work as “amazing” and noted that “she did everything she could” to help them. These are marks of someone deserving of a promotion to Senior Communicator. Fawn is proving how she makes a difference in the world with her work in the ECC.